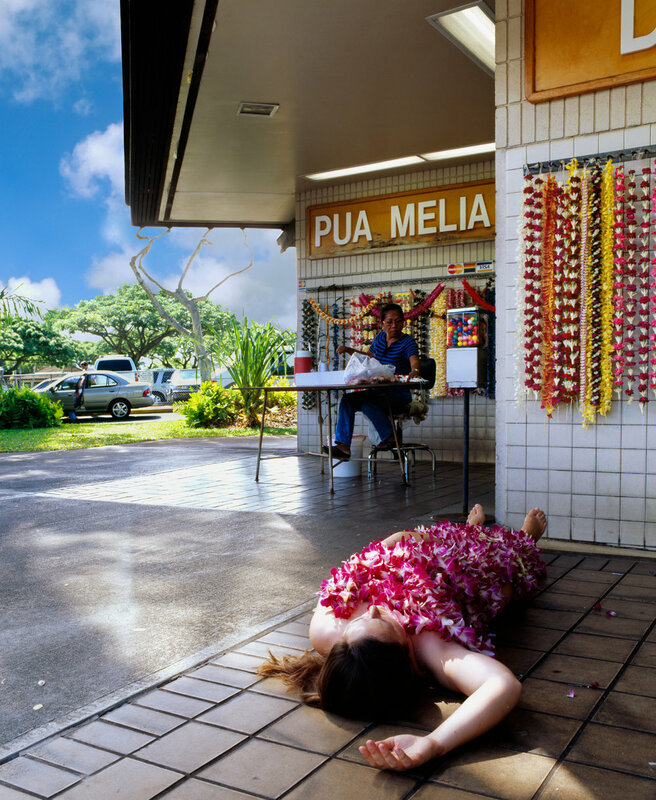 This series reveals an interweaving of tourist iconography with local culture and family stories. As a photographer who is part Native-Hawaiian while born and raised in California, I see a unique juxtaposition through my lens. 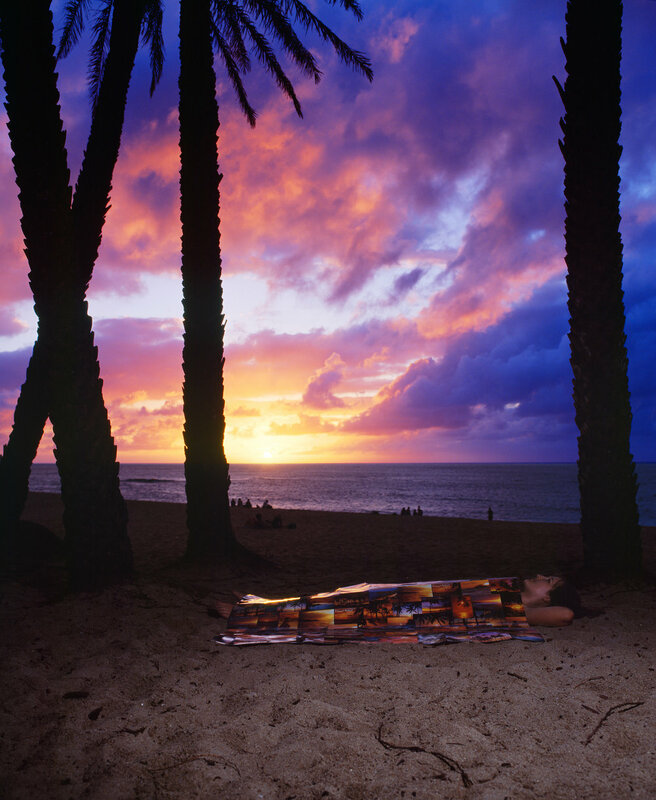 Click here to read the interview with Adrienne by Laura Kina about the Hawaiian Cover-ups series as featured in the book and traveling exhibition War Baby / Love Child. Interested in Exhibitions or Publications?